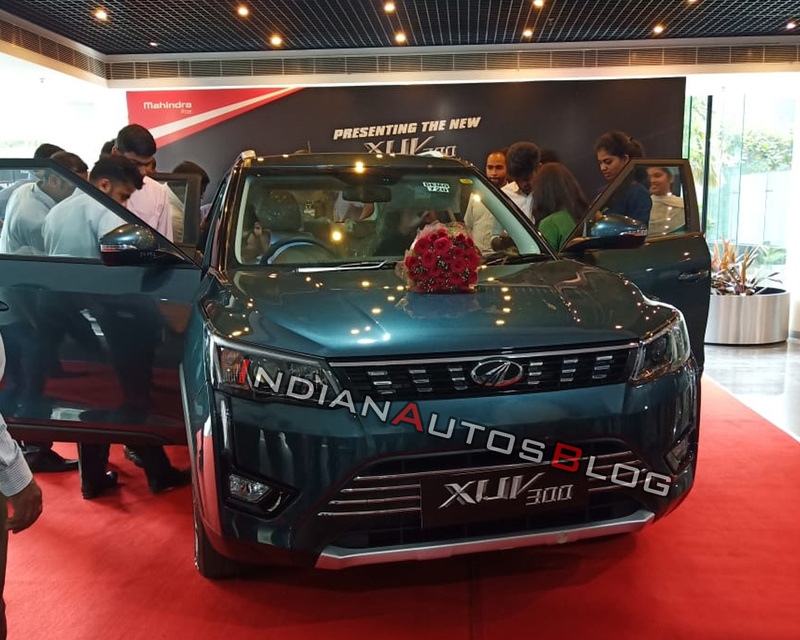 The Mahindra XUV300 is scheduled to launch on 14 February and will become its manufacturer's first-ever monocoque offering in the segment. Ahead of the new model's official introduction in the market, its full equipment list has been leaked by Twitter user TheGadgetSpy. The Mahindra XUV300 will launch on 14 February and should cost INR 8-12 lakh (ex-showroom). 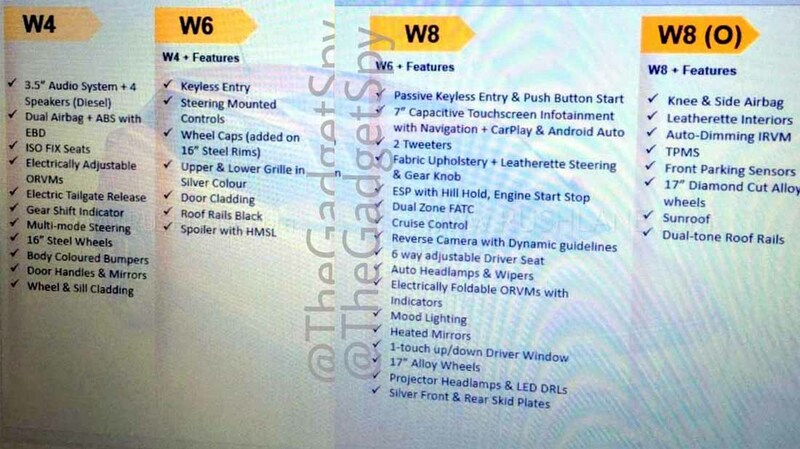 It will rival the likes of Maruti Vitara Brezza, Tata Nexon and Ford EcoSport. Mahindra offers the XUV300 in W4, W6 and W8 grades, along with an (O) option pack for the range-topping grade. It has also come to light that the Mahindra XUV300 will offer a boot space of 265-litre and a ground clearance of 180 mm. Last month, it was reported that the new sub-4 metre SUV would deliver a fuel economy of 17 km/l with the petrol engine and 20 km/l with the diesel engine. With bits like seven airbags, front parking sensors and dual-zone climate control, the Mahindra XUV300 will be the most feature-laden offering in the segment. The petrol engine displaces 1.2-litres and produces a maximum power of 110 PS at 5,000 rpm and a peak torque of 200 Nm between 2,000-3,500 rpm. The diesel motor is the familiar 1.5-litre unit from the Marazzo. For the Mahindra XUV300, however, it has been detuned to output 115 PS at 3,750 rpm and a peak torque of 300 Nm between 1,500-2,5000 rpm. Both the motors come mated to a six-speed manual transmission.